I had some leftover pâte fermentée (old dough) from the Chestnut Flour Bread and I didn’t feel like freezing it. So instead I baked 4 little rolls and I made myself this comfort food (I was by myself for dinner). Now that I have tried it, I’ll have to do it again… and again. It is just delicious (and very simple to make. 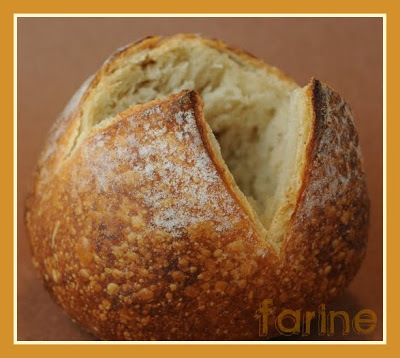 If you don’t have pâte fermentée or don’t feel like baking, just cut up a fat baguette or smallish batard into as many mini-logs as you need, remove some of the crumb and you are in business). I had shaped and scored the rolls in different ways as I didn’t know which one would be easier to turn into an eggcup. The tulip (i.e. the one with an X-shaped score) turned out to be the most convenient to open up and hollow out. bread + fresh eggs + crème fraîche (now that I have attended a cheesemaking class, I make my own and quite frankly you don’t need to take the class to know how. You just need the culture which you can get here and a way to keep the cream and the culture warm and snug for 12 hours) + some chives (from the garden or the window sill) + some grated Parmesan cheese. 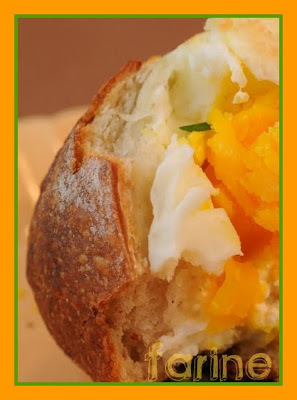 You hollow out the bread, pour in two spoonfuls of crème fraîche, add some salt and freshly ground pepper, cisel some chives over it, break in the egg (if the egg is too large, the white will overflow. Just wipe out the surplus), top with grated Parmesan cheese and bake at 400ºF for about 10 minutes (if necessary, turn on the broiler for a minute or two to brown the top). (I overcooked mine by 1 minute but it was still very very yummy!). Enjoy! This Egg-in-a-cradle goes to Susan, from Wild Yeast, for Yeastpotting. This is the ultimate breakfast! I love the shapes of your bread, I need to invest in a blade, I normally use a sharp bread knife but it doesn't work for small cuts. Thanks for the idea! Laura, you are so right! It IS the ultimate breakfast. I do not tend to think of eggs for breakfast (I am still very French that way) but it is hard to dream up a more comforting way to start the day than these little egg-stuffed rolls. I recently invested in a baker's lame – which I bought from SFBI. Before that I used a cutter but a lame is easier. On the other hand, our German Breads teacher told us that in Germany, they only use pointy serrated knifes. So I guess, whatever works rules! Oh, what a fabulous and incredibly creative idea! And the pictures are just gorgeous, as usual. 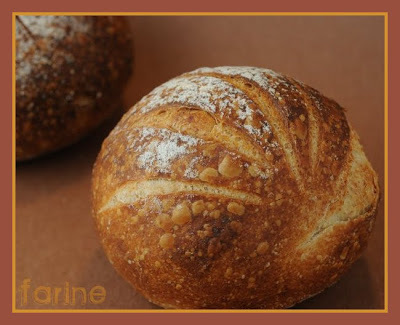 Next time I am baking sourdough bread, I'll make some rolls to give this a try. Oh my!! 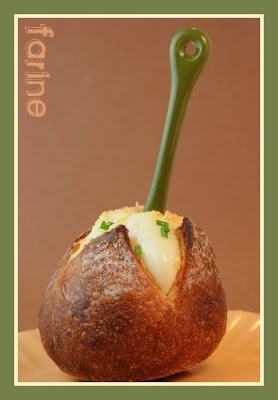 More pretty bread shapes AND a great idea on how to cook eggs! @chouette22, thank you! Do try it, it's worth it. Also, as Laura pointed out in her comment, these baked eggs make a perfect breakfast. Super idée, j'aime beaucoup, félicitation. Bises. Serrated blades are often recommended in german bread baking forums but I preferr to use a so called "Bäckerklinge" a small, curved steel knife. @AC, merci, AC! Ça me fait toujours plaisir d'avoir ta visite. I had some leftover challah dough Thursday night so I made a little roll just the right size for this. No creme fraiche or chives around, but it was yummy just with an egg, a bit of parmesean, salt and pepper. I'll have to whip up a batch of less sweet dough and make rolls to save just for this purpose. Yum! @JanKnitz, I bet it was delicious! Isn't it true that creme fraiche is a live culture, and therefore you can make more by using a little of the old batch, new cream, and a nice warm environment? OOO i love the sound and look of this!! Great site!! 🙂 Thanks! 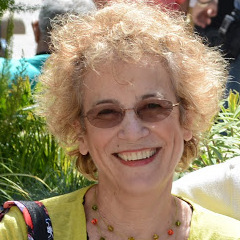 @petitechef, thank you! 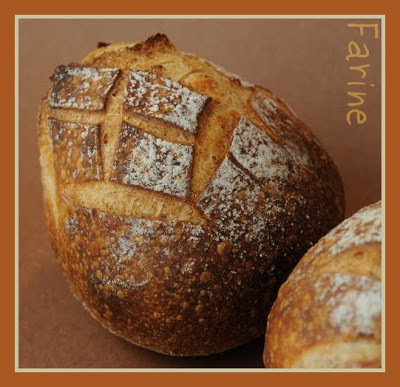 I am glad you enjoyed your visit to Farine. @peasepudding, thanks! 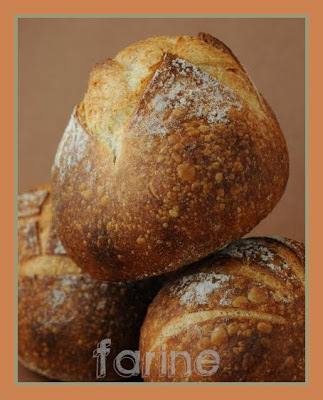 Don't you love dishes made with bread? Hi MC, We had these "egg in creadle" for dinner and what a treat they were. Not only to eat, but also to smell and look at! Thank you! I had no chestnut flour to bake your rolls, instead I baked Stefanie's potato rolls with lievito madre (I think you love them too). The result with the egg, yogurt (had no creme fresh), chives and parmesan is great.